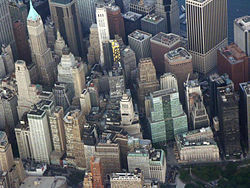 The big economic news for the week, is the surge in the United States equity markets. For the first time since 1999, all three major composites reached life time highs. 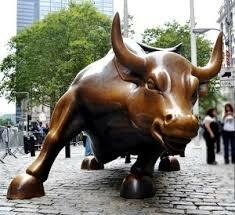 On Thursday, the Dow Jones Industrials hit 18,613.52 a gain of 6.8% in 2016. The Standard & Poor 500 which is up 6.9% this year, topped at 2,182.25 and the NASDAQ increased to 4,801, an addition of 4.4% in 2016. The United States markets were slightly down on Friday, but were able to maintain most of the gains for the week. This was mostly due to the surging price of crude oil. The question is can this upward movement be sustained? There are growing headwinds against the American equity markets, despite the flight to safety by global investors. Consumer spending the supposed bright spot for the United States economy is slowing. The retail sales rate for July remained flat at +0.6%. Meanwhile, corporate earnings have been declining for 6 consecutive business quarters. Company insiders,that is those individuals who have an enhanced knowledge of where these corporations are financially, are no longer buying shares as they have previously. The rate of investment by these people, is at the lowest rate since 1988. There is also the problem of a slowing global economy. An increasing number of nations are either in recession, tipping in that direction or are growing at dismal rates. This is the case in Europe, Latin America, Africa, North America and even areas in economically robust Asia. 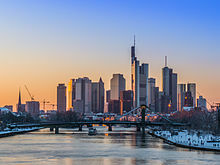 Frankfurt Germany, is a leading financial center in Europe and seat of the European Central Bank. World central banks keep lowering interest rates and continue expansive monetary policies. Although a number of nations have run out of stimulus spending, a result of the massive run up in debt, quantitative easing proceeds apace. The printing of money has injected the equivalent of trillions upon trillions USD (United States Dollar) into the global economy. Yet, real growth remains elusive. In Europe, the GDP (Gross Domestic Product) of Germany the largest economy on the continent, rose by 0.4% in the second quarter. Growth is being fueled by trade, as well as private and government consumption. Overall Euro-zone GDP growth is somewhat lower, at 0.3% in Quarter 2. 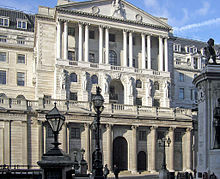 In the United Kingdom, the Bank of England ran into trouble with the new corporate bond buying program. To many institutions were not interested in participating, because of the low rates offered. At the same time, 10 year government bond yields in the United Kingdom, have dropped below 0.6% for the first time ever. British pound sterling is now below $1.30 USD. The European Commission is canceling budget fines for Portugal and Spain, despite that both nations violated the practice of keeping government budget deficits below 3%. Portugal has until the end of 2016, to be in compliance and Spain will be given two additional years. The European Union (EU) is insisting that Turkey must first overhaul laws in place dealing with terrorism. This is the only way the EU will agree to allow Turkish citizens, visa free travel throughout Europe. In light of the attempted coup in Turkey last month, this has become unlikely. 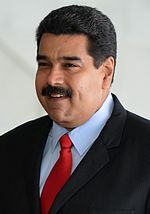 In South America, it was announced that Venezuelan President Nicolas Maduro will partially reopen the border with Colombia. A year of isolation has not helped in providing more food and consumer products for the populace. Analysts have stated this action will improve the supply of scarce goods and reduce social tensions, but will do little to address the financial crisis inside Venezuela. The rigid currency and price controls, have basically destroyed the domestic economy. In Brazil, the real reached a yearly high this week due to recent political developments. The Senate voted 59 to 21, to put suspended President Dilma Rousseff on trial for impeachment. The charge will be illegal activity in government spending. It is becoming far more likely that her vice president Michel Temer, will be her permanent successor. In Asia, Thailand is experiencing a number of bomb attacks in several provinces following the constitutional referendum, approving an enhanced role for the military in any future government. Growth in China continues to slow. Although industrial expansion and retail sales expanded last month, they were below expectations. Fixed asset investment is now at the lowest level in over 16 years. Further government stimulus will add to the debt, already at unsustainable levels. Consumer prices in China are also slowing, as food costs slacked further last month. The Chinese government is attempting to stabilize the domestic banking system with a combination of bailouts and recapitalization. The yield on the 10 year Chinese government bond fell to below 2.7%, a new historic low. There was a record demand for gold by investors in the first half of 2016 for a total of 1,064 tons. 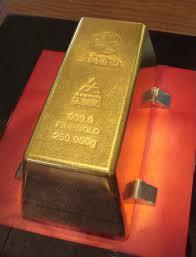 The price for this precious metal has increased by 25%, which is the biggest increase since 1980. For two consecutive quarters, the largest share of the demand is no longer from jewelry but investment. This has never happened before. Gold has reversed earlier declines after reaching a high of $1,370.80 last month. The price is now listed at $1352.80, an increase of $13.00 USD from last week. The price for silver increased 0.83% on Friday to $20.17 USD, a $0.24 gain for the week. The IEA (International Energy Agency) is predicting lower than anticipated demand for oil in 2017. This will be the result of projected lower global economic growth. 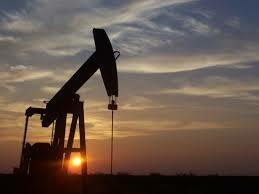 Demand is expected to grow by 1.2 million barrels next year which is 100,000 barrels less than previously thought. Crude oil has reversed the previous 3 month lows and has escaped bear territory. The price per barrel has dropped from $52 USD in June to between $41.00 and $42.00 USD in early August. The price now has once again surpassed the $44.00 USD benchmark. This is largely the result of a number of OPEC (Organization of Petroleum Exporting Countries) nations, wanting to reduce crude production. The effort is being spearheaded by Ecuador, Kuwait and Venezuela. This latest attempt is likely to fail as the previous one did, for the same reason. The countries of Iran, Iraq and Saudi Arabia, are still battling for global market share and are therefore interested in raising output even further. On Friday, American West Texas Intermediate (WTI) oil increased +2.05% to $44.38USD. Prices are now just $2.90 USD higher over last week. International priced Brent is up by +1.46% at $46.71. This is a $2.81 USD increase in valuation from last Friday. ← Next Post India: Turning The Corner On Investment And Economic Reform?